Diet Tips for hyperthyroid patients. 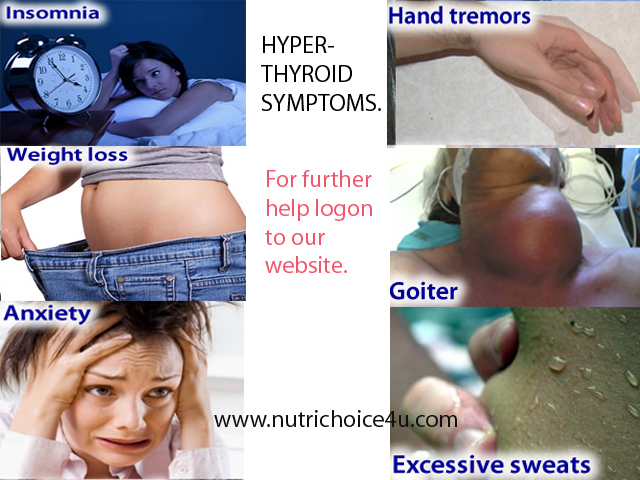 Hyperthyroidism is a condition wherein the metabolic rate of the body increases. Thyroid gland becomes hyperactive due to which the ability of the body to burn the calories consumed increases and due to this the individual keeps on loosing weight. Here are few diet tips for hyperthyroid patients that can help them in various ways. Hormonal tests are the best to diagnose this problem. When the hormonal tests proves that you are hyperthyroid main goal is to maintain ideal body weight. As per the condition it will keep on reducing your weight. So here it becomes an important task for you to take extra care of your diet so that you do not loose excess weight. You have to select foods which help to suppress the activity of thyroid gland. Eat small frequent meals. Choose meals which are little calorically dense so that your body has some extra reserves of energy after the body burns of the energy. Calorically dense food does not include just fats and oils. combination of all the food groups i.e cereal, pulse, milk, fats etc. Include thyroid-suppressing food in the diet. Broccoli, soya products, cabbage, cauliflower, rajmah, bajra etc. Do not fill up your stomach with low calorie foods like salads and veggies. Eat foods which are stomach filling. For that include protein and 5-10gms of fats in each major meals. Eat food containing paneer. It gives satiety and and stomach fullness for a longer time. Eat home made sweets like sheera, puddings, custards etc to give you additional calories which will avoid weight loss. Eat food at regular interval. Do not increases gap between 2 meals. meal gap should be lesser than 3 hrs. Do not keep habit of having soups before meals. They tend to give feeling of fullness and satiety. Do not drink water immediately after meals. It is also important to keep replenishing the body with vital minerals and vitamins. So add multivitamin supplements to your diet. Bugleweed, green tea, and motherwort are a few herbs found to be helpful for hyperthyroidism. So in short if we conclude, the main motto is to eat more meals at regular interval and avoid foods which are low in calories. 113 Responses to Diet Tips for hyperthyroid patients. I m suffering from thyroid problem from past 5 yrs…. Get your Vit D and B12 levels. Neelam have you taken doctor’s advise. If yes, tell me if he has started you on any medication. Jyoti you should go through the article. I am sure you will get the required information. Pls ping me on [email protected] along with your eating routine. Please help me out from this problem. I have hyperthyroid from last 6 months and i am taking medicense as per doctor instruction….but can i eat non- veg ( mutton..chicken..fish..egg) in my diet….to increase my weight…. My mother has hyperthyroidism. Can she eat dry fruits? ? My TSH level is 10.25..What should I do?Can I exclude wheat form my diet?I am eagerly waiting for your reply…. I am 24 years old.in last 2 day ago i check my blood and see that my TSH value 34.11.so can you help me what can i do give me a proper diet chart it belong breakfast,lunch,snakes and dinner with time .so it will be great thankfull to you. i do prescribe diet for hyperthyroid. Hey mam. I em 19 years old and I am having hyperthyroidism since 1 year. And my weight has also been increased so much accorind to my age nd height. Hey Neha mam. 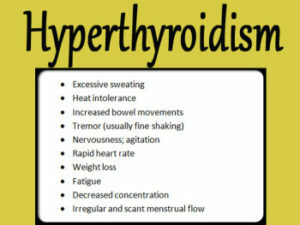 I em 19 years old and I am having hyperthyroidism since 1 year. And my weight has also been increased so much accorind to my age nd height. Mam I miss suffering from hyperthyroidism for the last 6 months .I am taking my medicine bt not getting alright can u plz suggest me wht to take n my diet n wht not. Mam, Can you help me to get a job for Nutrition. i have done Diploma in Nutrition and Health Education from IGNOU in December 2016. I am 25 year married female ,weight 48kg and height 5’3″ suffering from hyperthyroidism. Can plz suggest me what should I eat and what not. Dear mam, I would like to utilised this platform. I have done thyroid profile rest and found TSH low. My doctor said that its hyperthyroid. I have done sonography and came to know stone in kidney (5 mm). She has suggested not to have acidic food due to stone. But few people are saying to have acidic food for stone. Considering both the issue can you please suggest me proper diet or main food which will be helpful. Kindly also suggest which type of food I should not consume. Highly appreciate your support in advance. I am pregnant of 3 month. I tested tsh test 10 days earlier and got results 9.65 , now I again test it after 10days of earlier and get result 16.81. how it possible? how I control it? what medicine should I take during my pregnancy time? plz give me proper guide. will there any threat of my baby? Dear Doc, I’m so confused. My mom’s hyperthyroid. I see on some sites things to eat include cabbage, cauliflower and broccoli, now I’m seeing here to avoid them. Help! What vegetables are safe to eat please? Hello I am Neeraja…Age 19 and I guess I am suffering from hyperthyroidism… I feel the symptoms. I met my physician and he said exercise daily and have a diet and also told me to check my hemogram and thyroid levels..though Ivuaven I haven’t checked it but I am sure that I have. Condition is getting worse everytime i taken medication so i stop it .. Can any one suggest me what is the best herbal medicine and balance diet for me . I am 33 years old & having hypothyroid. I am pure vegetarian Gujarati women. I am little bit bulky and often suffer with swelling in legs. I have hyperyroidism but I dont’t lose weight but I don’t gain also. I want to lose some kgs but I don’t know how to do that. I tried some diets but that doesn’t work. Do you have any advice? Kindly suggest appropriate diet plan for me pls. Was diagnosed with papillary thyroid carcinoma. i would advise till all you scans are done..Till that you can eat 5 small frequent meals. Hey m sroj my age is 41 ,female, I am suffering from hyperthyroidism disease my T3 level is 4.oo mg/ml and my. T4 level is 28.8 microgram per ml and my TSH is 0.01 , n I also had bad habit of smoking , please help me out please tell what to eat and does smoking affect my disease. Mam…im 25yrs n prgnant of 22weeks…nd my tsh is 7.45 having my medication regularly…but gettng worried about my diet plan.plz suggest me an xact diet chart for daily plz plz…..m really really verie worried. you can eat regular food. Avoid cabbage, cauliflower, brocoli, rajmah, bajra, tofu, soyabean etc. My TSH is very high approx. 58 and i am continuously loosing my weight. kindly suggest remedy and diet plan to maintain my weight. My age is 55 year and My TSH is very high approx. 58 and i am continuously loosing my weight. kindly suggest remedy and diet plan to maintain my weight. Pls make sure that you first visit an endocrinologist and get the dosage fixed.. After that we can work on diet part. My wife’s harmone tests: T3- 2.1, T4- 137, Tsh- 0.1. Doctor advised Thyronorm 37.5 mg. Regarding diet, there are confusing websites. Her weight is 61 kg and height 5″. Age: 52 yrs. Pl suggest suitable diet. We almost take everything at home: pulses, vegetables, salad, dairy products (She doesn’t like milk at all), nuts, occasionally eggs, no non-veg (sometimes fish in parties/functions etc), rajmah, urad, etc. wheat atta, white rice. Pl suggest suitable diet for her. Thanks. I have checked the mail. I could not find any comments please. Hi, i am 22 yrs old and suffering from hyperthyroid. Do I need to cut all dairy products and fast food ? hi my tsh level is 9.75, can u tell me what should avoid or eat? Hello,Neha Kava,it is my first time,I have really learnt a lot from you,I am a case of hyper,thank you much. Hi. My brother is suffering from this hormonal problem. I got to know foods to avoid as u stated. Plz let us know which are the best foods to include in diet in hyperthyroidism. Please do tell us mam plz. Ask him to avoid all food which has high calories. I’m having hyperthyroidism and it is 70 .I’m not having any health issue but after knowing that I have hyperthyroidism.Now I’m very much tense and worrying.its not going from my mind.im taking thyronorm 50mcg daily. Will it be cured without side effects? Pls do not worry so much… Medicine will be there life time.. You have to live with it.. So accept it..
Take care of your weight. Make sure your weight is healthy as per your height..
hello,i have seen your post so helpful but as i am confused about the food that an hyperthryoid person has to take. i have hyperthyroidism and seen different posts saying to avoid eggs,milk,ice cream ,brocolli and soy products and whole grain bread,banana milk shake, peanuts(which helps to put on weight). as we all know people with hyper thyroid looses weight and i became so skinny even though eating much,can you tell me what really an hyper thyroid person can eat to put on weight.that could be very helpful. You will have to avoid cabbage, cauliflower, rajma, spinach, bajra, broccoli, tofu, soyabean, alcohol. I have big goiters and hyper.i currently take carbimazole. Are there any special foods that help on shrink goiters and nodules? i heard cauliflower and iodine can really damage if you are hyper. You have to avoid cabbage, cauliflower,, broccoli, soya bean,tofu, spinacj, bajra, rajma, alcohol etc. Avoid cabbage,cauliflower, spinach, soya bean,broccoli, tofu, bajra, rajma, alcohol etc in your diet..
Hi Neha I was finding much sypMptoms ( severe hair loss weight loss palpitation)of hyperthyroid in my body.AS I went for test at INMAS….all reports are normal.no medication is required . Suggest what should I do now? Hi I’m 27 year old and i’m my free T4 is 46.60 pmol/L that is more then 2 time higher then normal range and TSH 1.26 ulU/ml. my height is 5.9 feet but my weight is just 43kg..
do i go for Ayurveda treatment or Allopathy. please suggest me what should i do how can i gain weight ? Im 43 year suffering from hyperthyroidism. Can u plzzz suggest me some foods that i should eat. I am hre for the first time. Which food is needful for hyperthroid patient. How can I shrink my goiter? Which medicines are you taking ? after consult doctor she takes medicine named throyx 25. Please suggest the diet plan for her. I have replied to your mail.. I am 66 yrs. male. Recently I was detected hyperthioroidism after my TSH value was tested 0.005 and have had 10 kgs. of weight loss. Doctor advised to take neomercazole tabs (3 tabsx 10 mg.). Can anybody suggest what foods should i take to regain body weight at least by 8 kgs ? Hi, I have hyperyroidism but I can’t lose weight but I also don’t gain. I want to lose some pounds but I don’t know how I have tried diets buthat I still don’t lose any. Do you have any advice? I would advise you to mail us on [email protected] with your entire days routine and food intake. you have to restrict the foods you mentioned. Nice diet chart of Hyperthyroidism. Good information is given here. My self Dr. Samir Gadhia from Rajkot (Gujarat). I am Ayurveda Consultant and Dietician. thanks for that comment Dr.
You can eat all fruits. Am i eat prawns ? You can eat fresh prawns. Avoid the processed prawns. Yes you can eat dry fruit. Send all your queries with your regular daily food routine on [email protected]. is soya products and soyabeans as sprouts good for hyperthyroidism? Processed soya products can be included in diet for a hyperthyroidism. You can have sprouted soyabeans which is properly cooked.